I mean absolutely no offense to anyone listed, but suffice it to say the following names are not ones I would have mentally associated with awards prior to the beginning of this year. Well, one name I at least knew had the potential but considering I didn't even know the film was going to exist until 2016 had already kicked off, hard for me to pretend I saw that performance coming. Yes, amazingly it is already early July and thus half of the year is over. Figured it would be fun to put together some lists of nominees and a winner from each category and be able to compare it to early next year when the actual Oscars role around. See if any of my summer nominees are able to stick around all the way through the fall and winter award season releases that typically dominate the attention. I caught wind of the buzz that surrounded The Witch when it premiered last year at the Sundance Film Festival, but I never expected the film to floor me like it did. A horror masterpiece and the star is an actress I had never heard of prior to this performance. Safe to say she has found her way onto my radar for the long term. Anya Taylor-Joy is the centerpiece of the disturbing events that occur in the film and she nails every moment. After seeing the amazing Blue Ruin, I pretty much knew I might love anything that director Jeremy Saulnier did next. 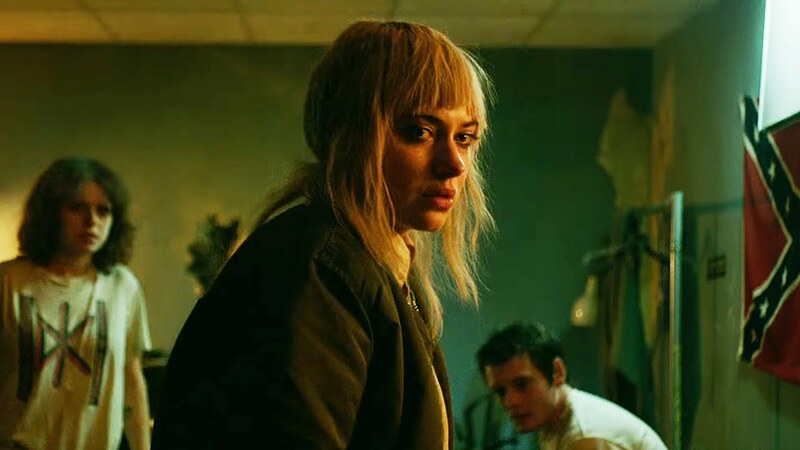 His ability to utilize mood and atmosphere in order to deliver something wholly unique and intense could have easily stole the entire show for me with Green Room, but turns out a couple of top notch performances would linger in my mind as well. I have seen Imogen Poots in a few other films prior to this but I was never all that impressed to be honest. Color me impressed now. She is absolutely perfect for the setting and circumstances that surround the characters in this film, a ferocious turn by an actress perfectly cast in an amazing film. Totally unexpected. I have never thought of Blake Lively as a terrible actress, but I also have never considered her to be a good one either. So when I heard she was asked to basically carry an entire thriller almost alone on the screen, I was skeptical. I apologize for my pessimism. Lively is terrific as a surfer who is forced to fight for her life when a shark attacks, and I officially believe. Give her the right material and I'm completely on board, and considering she is only now 28 years old, Blake might be ready to take off and show the world her talent for years to come. Nicolas Winding Refn doesn't really deliver cinema that bring the performances to the forefront as his vision usually glistens with style and a sublime understanding of framing, lighting and color, while the dialogue is typically not exactly complex or in the case of his previous film Only God Forgives, hardly there at all. That being said, knowing what to expect from The Neon Demon, Elle Fanning was the essential choice to play the lead role. She carries herself so perfectly throughout in order to deliver the thematic weight of the picture, at first selling us on her doe eyed innocence and kindness, a fragile young girl entering a dangerous and demeaning world, but when the lights and attention and run of success go to her head we see the transformation and it feels real against a surreal backdrop. Without a doubt one of the surprise films of the year so far, especially considering the studio, filmmakers and cast managed to keep it a total secret until only two months prior to its release, an unthinkable marketing home run at a time in which we are seeing trailers for films a full year before they premiere. The lead of the film is Mary Elizabeth Winstead as a young woman named Michelle who is run off the road by another vehicle one night and wakes up chained to the floor of a room inside a doomsday prepper's shelter and she is told she is lucky. The rest of the world is dead and they must stay down there until the dust settles above. John Goodman will steal the headlines for his outstanding turn in this film, but don't ignore what Winstead brings to the table here. It's pure excellence and true nuance from start to finish, which is why for me she is the best actress of 2016 thus far. Interesting. There are only two films I haven't seen on this list, but I'd say the girl from the Witch would be in the lead for me. That film just surprised me, and the fact that she could do all of that while reciting old English is impressive to me. Yeah, the other names aren't in order of preference. If I had to pick a runner up it would probably be Anya from The Witch, for exactly the reason you stated.